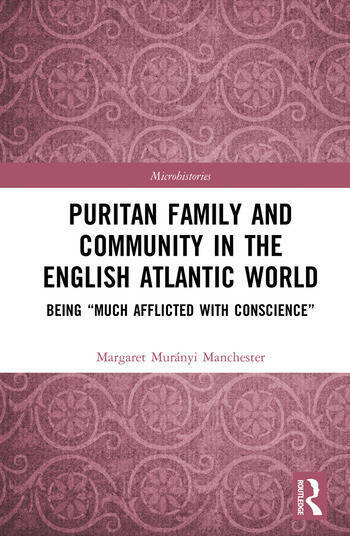 Puritan Family and Community in the English Atlantic World examines the dynamics of marriage, family, and community life during the "Great Migration" through the microhistorical study of one puritan family in 1638 Rhode Island. Through studying the Verin family, a group of English non-conformists who took part in the "Great Migration", this book examines differing approaches within puritanism towards critical issues of the age, including liberty of conscience, marriage, family, female agency, domestic violence, and the role of civil government in responding to these developments. Like other nonconformists who challenged the established Church of England, the Verins faced important personal dilemmas brought on by the dictates of their conscience even after emigrating. A marital dispute between Jane and her husband Joshua divided the Providence community and resulted, for the first time in the English-speaking colonies, in a woman’s right to a liberty of conscience independent of her husband being upheld. Through biographical sketches of the founders of Providence, and engaging with puritan ministerial and prescriptive literature and female-authored petitions and pamphlets, this book illustrates how women saw their place in the world and considers the exercise of female agency in the early modern era. Connecting migration studies, family and community studies, religious studies, and political philosophy, Puritan Family and Community in the English Atlantic World will be of great interest to scholars of the English Atlantic World, American religious history, gender and violence, the history of New England, and the history of family. Introduction: The Verins--A Family "Much Afflicted with Conscience"
Margaret Murányi Manchester is Assistant Professor in the Department of History at Providence College, USA. She teaches courses on US history, American women’s history, and diplomatic history. Her current research revisits a spy story involving the US, England, and Hungary during the early years of the Cold War.